There is nothing quite as all-Canadian as the deck on a home. That is where the grill is going, the kids play, and summer always seems to linger a bit longer. The wooden deck attached to a home became a status symbol in the fifties, and quickly became a fixture of suburban life. Composite decking was introduced to the market in the 90s, promising a longer-lived and more maintenance-free alternative. One of the DeckCrew.ca’s composite material decking projects. Put in simple layman’s terms, composite decking is typically made of a combination of wood fibers with recycled or new plastics. Some types of composite decking are also made up of 100 percent polyvinyl. This, combined with agents to color the decking, and elements that will be added in to help protect it, are the result of a product that is slightly heavier than real wood that is the same size. Composite decking won’t splinter nor will it rot. It’s very resistant to weather, warping and other issues that are commonly an issue with regular wood decking materials. Materials: Recycled and reclaimed plastic and waste wood. Most of these raw materials come from recovered plastic grocery bags, plastic film, and waste wood fiber. Trex buys approximately 300 million pounds of used polyethylene and an equal amount of hardwood sawdust each year. Decking Products: Horizon Decking with PermaTech, Fiberon Outdoor Flooring PVC decking, Fiberon Professional Premium Grain and Tropics. Materials: EverGrain composite decking is described as the “only” compression-molded composite decking product. Let’s examine some things that everyone should know in regards to composite decking. Composite decking comes in two different forms. Solid composite decking, and hollow composite decking. The solid composite is far heavier than the hollow, but it does tend to look more natural. However, it’s also more susceptible to fluctuation in temperatures. The hollow composite decking is less expensive, and it requires higher care during installation to prevent any damage. Composite decking is more expensive initially. However, it offers a lifetime warranty so in the long run, composite decking is less costly than regular wood decking. This is due to the lower maintenance requirements of composite decking as well as their longer lifespan. Typically, composite boards are longer than wooden boards. This is because there is no concern about longer boards warping. Composite boards may be as long as 20 feet. Composite decking comes in a variety of colors. 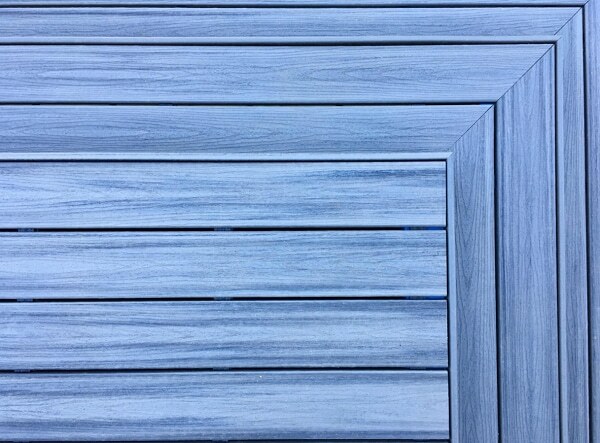 It’s not necessary to stain or paint composite decking as the color is added in during the manufacturing process. You can choose whatever color you wish, you can alternate the boards and make them purple and yellow or whatever you select. However, it’s important to keep in mind that you can’t paint over them if you change your mind. Composite decking won’t warp. However, it can sag or buckle. Typically, this is due to improperly spaced floor joists during the installation process. Thermal expansion can also cause the composite decking to sag or buckle. This may be more noticeable on the composite decking than on natural wood decking. Composite decking is typically spaced wider, and it requires professional installation to have it done properly. Composite vs. Wood: One of the most important decisions, while homeowners are deciding to have a deck, is to decide which material to use. Composite decking is resistant to fading. However, it may fade over time if it’s in direct sunlight. It may become lighter in color as it fades. When natural wood is left alone, it will fade to grey. It may also become hot under the sunlight. While it won’t’ melt, it’s suggested that it be placed where it will be in mostly shaded areas. You’ll also need to consider drainage underneath of composite decking. Moisture that is trapped underneath of the composite decking and on the wood joists will make the joists more susceptible to decay and rot. Composite decking is stain resistant, however, just as with the issues of fading, it is essential to clean up spills promptly. Sweeping the deck often and hosing it off at least twice per year is all the maintenance that should be required. The most frequent complaint in regards to composite decking is that it can harbor mold growth. 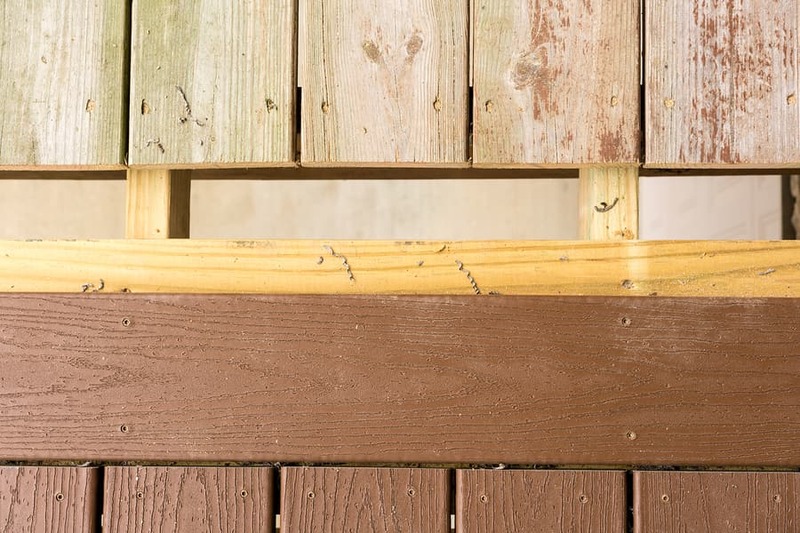 All decking materials may harbor this, and it’s important to remember to clean and resurface things that have mold on them. Unfortunately, composite decking can’t be resurfaced, and it is difficult to remove stains. It’s suggested that an application of a mold barrier at the start be applied to prevent any issues with molds. There are also special cleaners that will remove mold and won’t harm the decking. When considering that composite is a long-term investment. Make sure to do the homework and ask others what their experience has been with composite decking. Get an estimate from DeckCrew.ca and focus on the pros and cons. Enjoy your first cookout on your new deck.